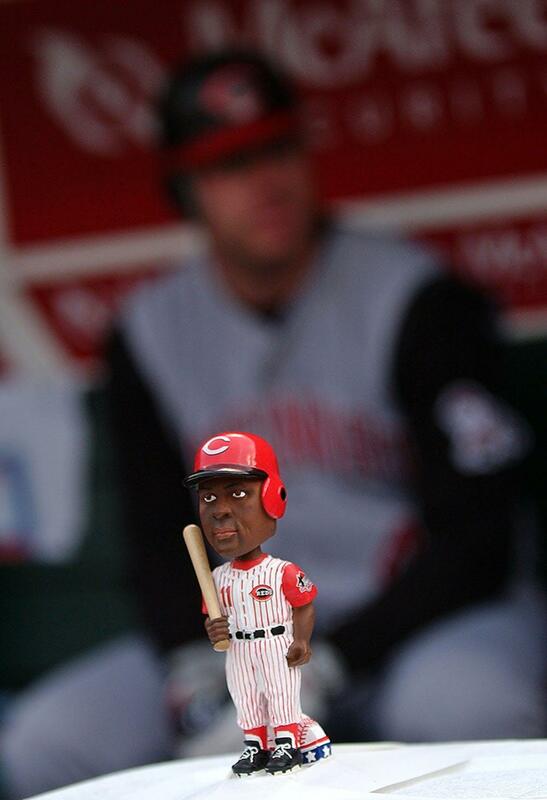 Bobbleheads and other free swag star in baseball tax dispute Should baseball teams pay tax on the bobbleheads they give away? At the beginning of the baseball season, every team wants to win the World Series or at least make a strong playoff run. For the Cincinnati Reds, the goal might be more modest: breaking a streak of three straight last-place finishes and improving on the worst-pitching record in the National League last season. Off the field, the team faces a different kind of struggle: trying to avoid paying tens of thousands of dollars in sales tax on the bobbleheads, jerseys, tote bags and other memorabilia that the team gives away as promotions to entice fans to buy tickets. It’s an issue that baseball teams have been battling for decades, with some having more success than others convincing their home states they shouldn’t have to pay sales tax on the promotional merchandise. As I explain in a recent paper in the Journal of Taxation of Investments, I believe their arguments have little merit. Still, it does raise challenging questions about how we define the scope of sales taxes. All but five states impose sales taxes, which can range widely from one place to another. Residents and businesses in Cincinnati, Ohio, where the Reds are based, pay the state rate of 5.75 percent as well as a local levy of 0.75 percent. But most states, including Ohio, exempt purchases for resale from sales tax. For example, you pay a sales tax when you buy a computer at Best Buy, but the retailer does not. This exemption can also apply to stuff a company buys to pass on to customers as part of a larger transaction. A good illustration of this involves the bags in which Kroger, Safeway or your neighborhood food store uses to pack your groceries. That’s because the typical grocery store includes the cost of the bags in the price of the goods it sells. Another example is the toy that comes with a Happy Meal at McDonald’s. Again, the cost of the toy is included in the price of the meal. Baseball teams claim that their memorabilia are like grocery bags or Happy Meals. The Reds say they factor the cost of those items into their ticket prices for every game during the season, so they should not have to pay a separate sales tax when they purchase them to give to fans as promotions. The commissioner emphasized in his unpublished ruling that the Reds did not give away the promotional items at every game. And even at games designated as giveaways, supplies were always limited. In other words, ticket prices for the games were the same whether or not promotional items were offered or a fan actually received a bobblehead doll – those who didn’t get one did not get a discount on their ticket price. The commissioner found that the promotional items were gifts and therefore taxable. The Reds appealed the ruling to the Ohio Board of Tax Appeals, which upheld the commissioner’s decision. So the Reds asked the Ohio Supreme Court to consider their case. After initially dismissing the appeal because the Reds’ lawyers missed a filing deadline, the court reluctantly agreed in February to consider the case, which remains pending. The Reds have a lot at stake. They’ve designated 30 games this year for giveaways. team has almost 27 games with giveaways this season. If the Reds lose, they could be on the hook for a lot of money, though how much is unclear. One account put the total for just the 2008-2010 seasons at US$88,000, but the commissioner is likely to ask for tax payments going back a full decade, based on court records. The Reds are at least the fourth MLB team to wind up in court over the past four decades over sales taxes on promotional items. Previous decisions have reached inconsistent results. The Kansas City Royals won a case in 2000 that allowed them not to pay sales tax on their giveaways. But the Milwaukee Brewers in 1983 and the Minnesota Twins in 1998 lost their cases and currently have to pay sales tax. The teams have a respectable legal argument, but I believe they should lose. P romotional items are not really like grocery bags or Happy Meals. 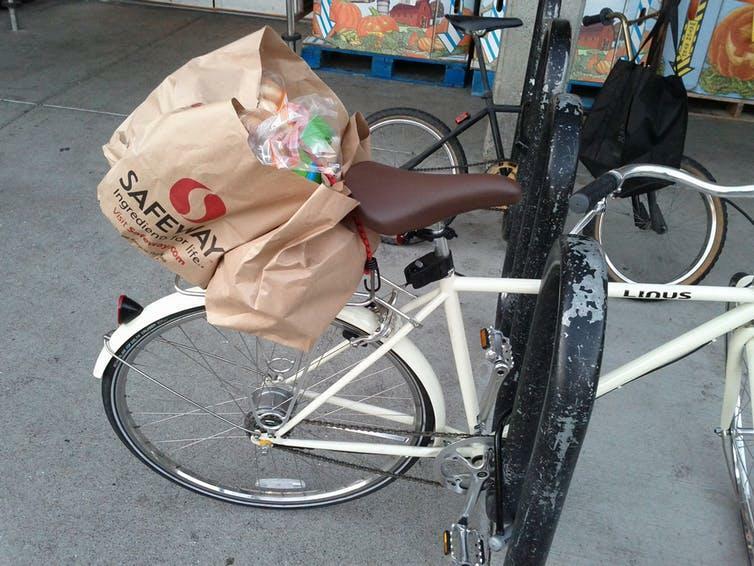 Virtually everyone who shops at grocery stores uses the store-provided paper or plastic bags. And every Happy Meal comes with a toy. But as the Ohio tax commissioner noted, only a minority of baseball fans who go to a game get the team memorabilia. To qualify, fans have to buy tickets for giveaway games and get to the stadium early enough to get one of the items before the supply runs out. There is no resale and the teams should have to pay the sales tax on their promotional items. The case, however it’s resolved, does have broader implications beyond some wealthy baseball teams. And it illustrates the challenge of defining what qualifies for the sales tax exemption. How should we decide when a premium item qualifies for the exemption? How about a “free” streaming service like Netflix offered when you buy a TV or new phone? Or a buy one, get one free offer? This is why we might think about switching to a value-added tax, which is collected at every stage of the supply chain. A sales tax, in contrast, is paid only by the final consumer. Of course, a value-added tax has its own issues, such as whether it’s regressive, but a VAT would eliminate these kinds of exceptions and loopholes. For now, though, we have a sales tax. And the Reds case will turn on the meaning of the purchase-for-resale exception. I only hope that they do better on the field this year than they may do in court. Article written by Jonathan Entin Copyright © 2018 RSW Publishing. All rights reserved. Professor Emeritus of Law and Adjunct Professor of Political Science, Distributed by Financial Media Exchange.